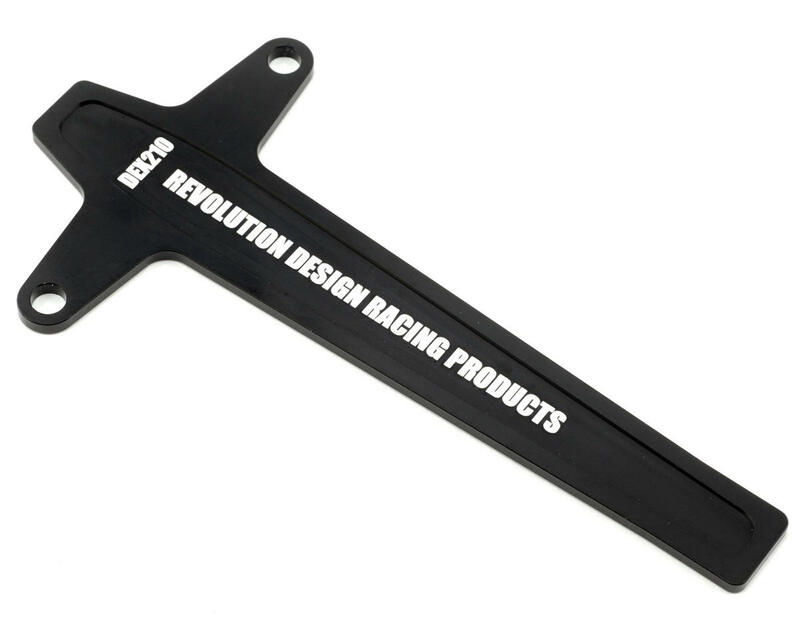 This is an optional Revolution Design Racing Products Aluminum Battery Plate, and is intended for use with the Team Durango DEX210, DEST210 & DESC210 vehicles. 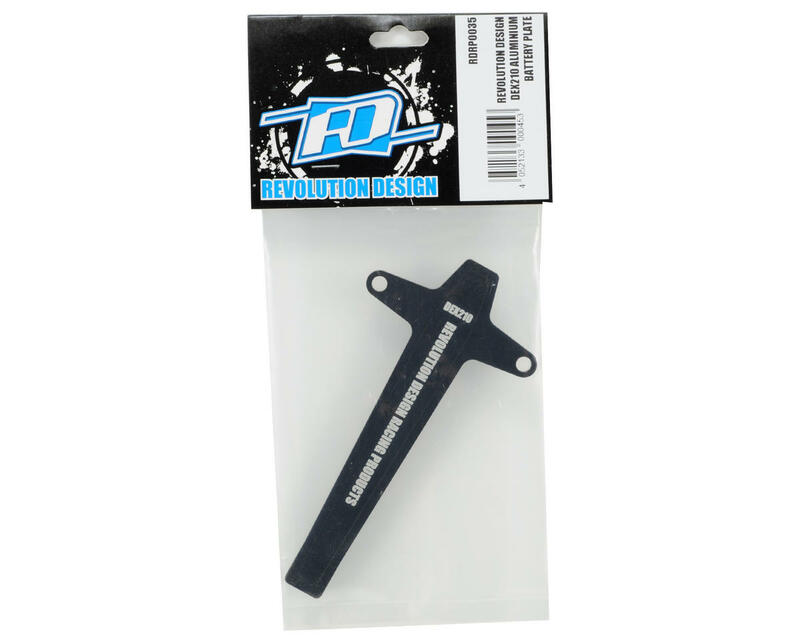 The RDRP DEX210 Aluminum Battery Plate is designed to replace the stock plastic battery hold down with an incredible looking and more functional solution. CNC-machined from 7075-T6 aluminum and anodized to provide a durable finish, the RDRP Aluminum Battery Plate acts as a heat sink to help reduce the temperature of the battery pack while running, and at the same time adds that factory touch to your ride. The plate is compatible with both the mid and rear motor configuration of Team Durango's 210 vehicles. Combine this battery plate with RDRP's Aluminum Thumb Screws for added convenience and improved looks!